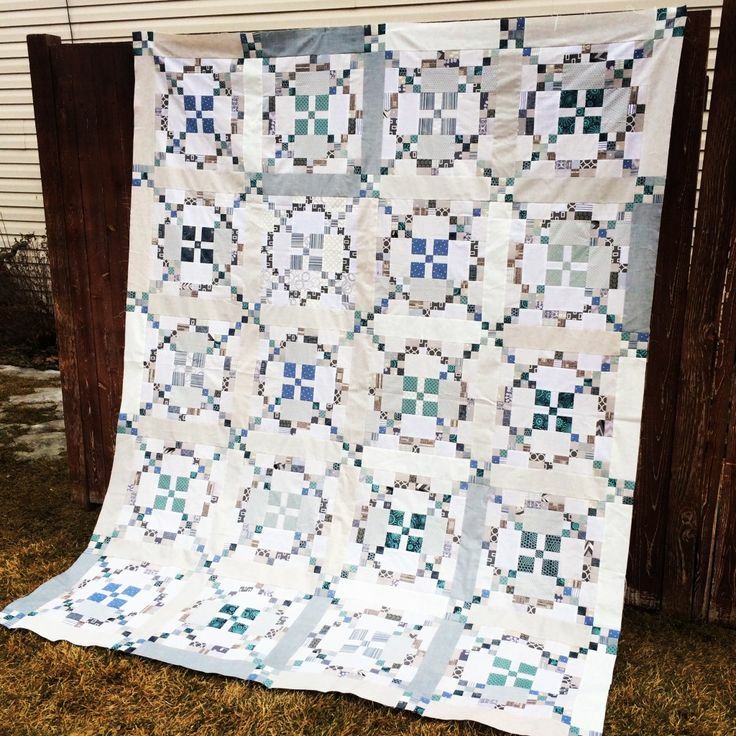 I wanted to share some APQquiltalong eye candy and thank my friends that did this virtual quiltalong with me. 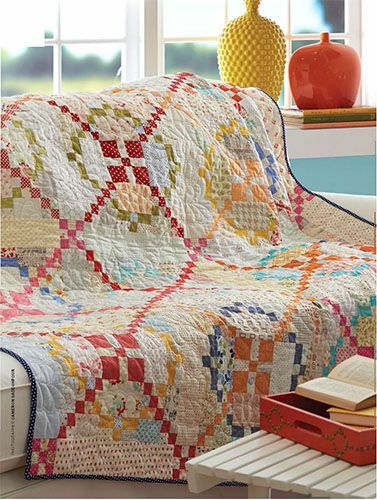 “Image from American Patchwork & Quilting® magazine. 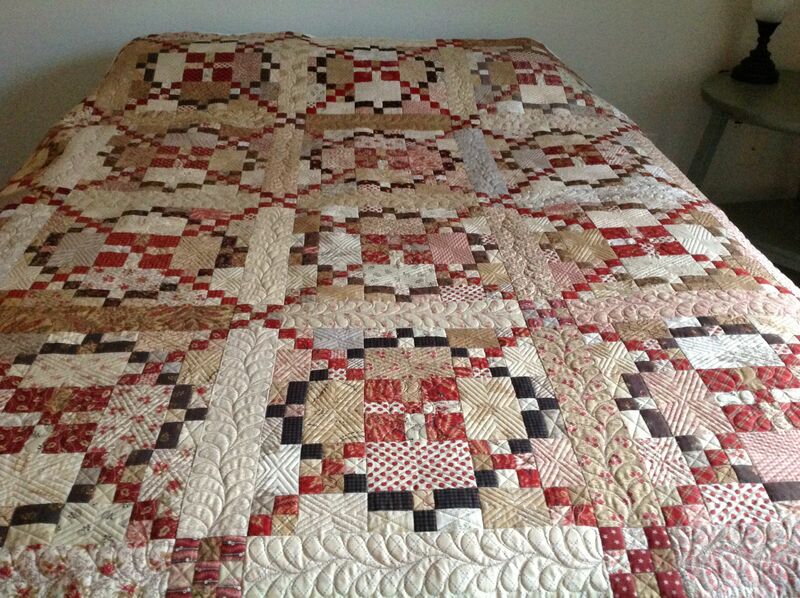 Here is my quilt from American Patchwork and Quilting. Sherri Mc Connell’s version using all American Jane. 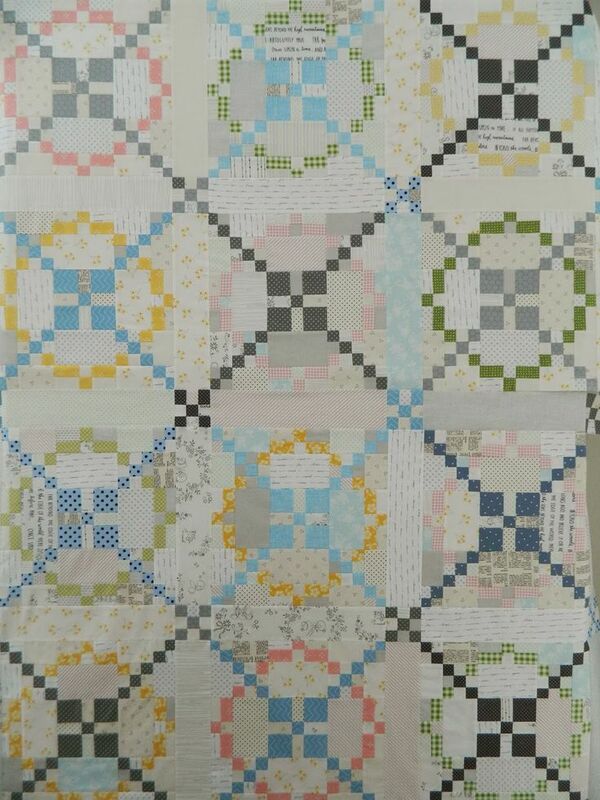 And here are a few more pics of other quilts I wanted to share. 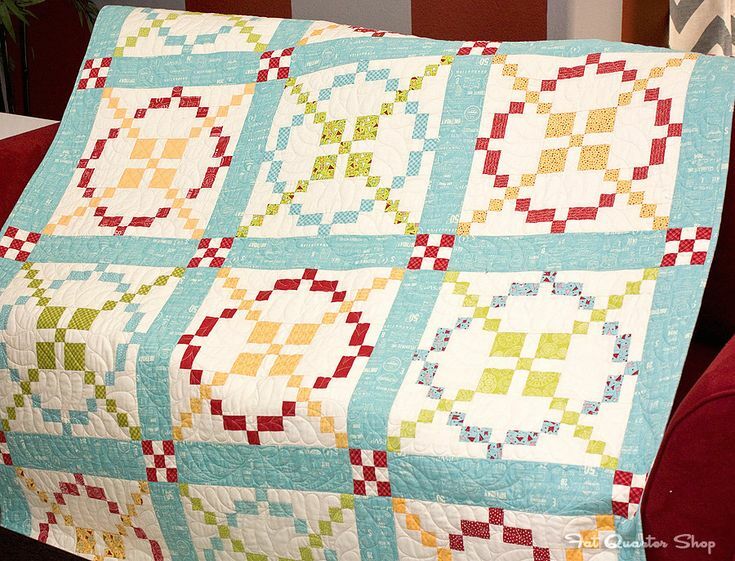 Maggie Honeyman- machine quilt extraordinaire made and actually got to quilt her own quilt. 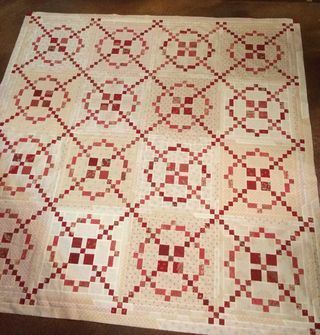 What is so amazing to me about quilting is that this is a classic Burgoyne surrounded block named after General John Burgoyne’s surrender at Saratoga in 1777. Nothing earth shattering about the pattern, it is a variation of Double Irish chain, yet the fabrics used make each version wonderful. One more little bit of info. 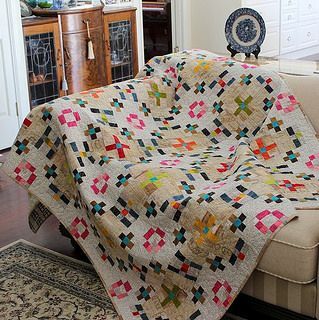 I wanted to show a snapshot of the pinterest board, #APQquiltalong. Follow me on Pinterest to see the actual board. 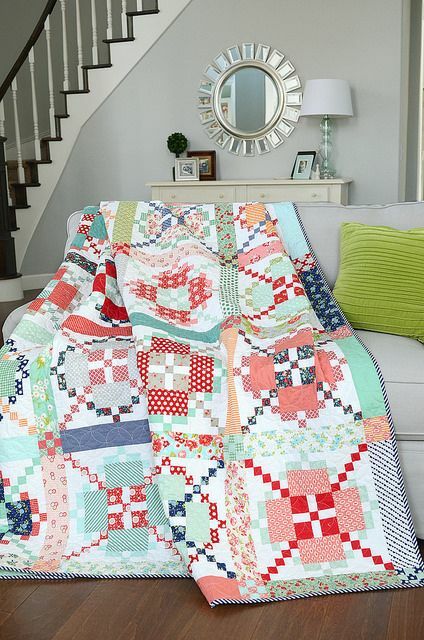 There are many more versions to tempt you to make this quilt if you have not started yours yet. 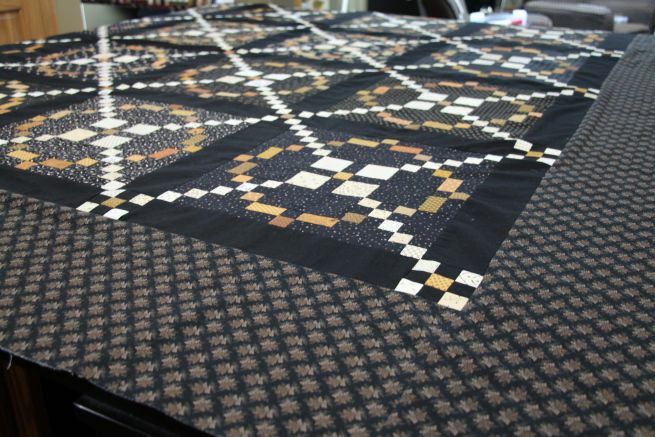 Now that we have accomplished celebrating the General Burgoyne through this quiltalong, maybe we should move on to General Beauregard from Barbara Brackman’s Book, Facts & Fabrications-Unraveling the History of Quilts and Slavery. No seriously, moda has so many great indigo’s coming, I may have found my perfect project. 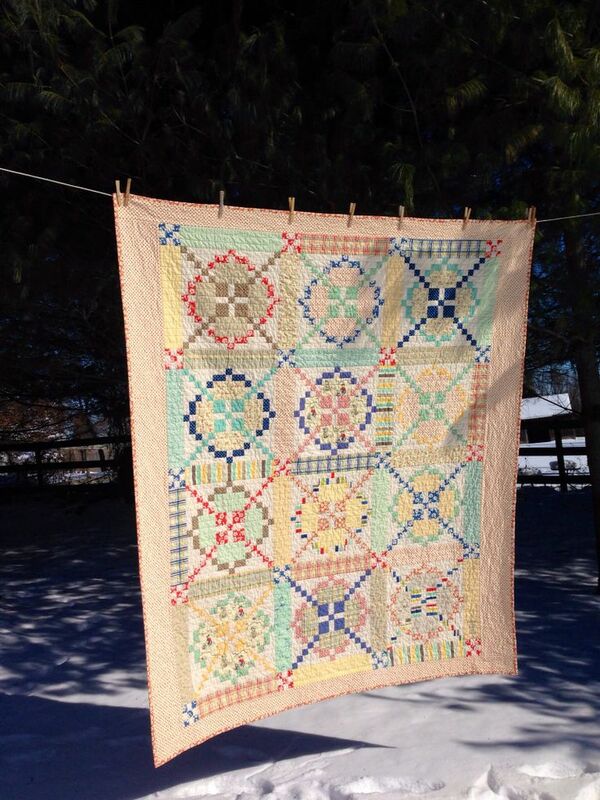 Thank you following the quiltalong, as well as my blog. results of such a study. 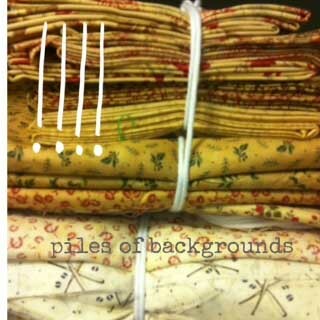 I do know I have a mad, crazy addiction to background fabrics. I can use the happier I am. in assorted black plastic bags. arranging my fabrics on bookcases, I had no lights. amassed quite a collection of lights. It is going to be quick and simple. every weekday morning at 6:00 am central time. but mainly hunks of yardage. None of them have been pre-washed. They need a good home. It will be a random drawing and I will ship at the end of each week. I will consolidate shipments if you win more than once. and I must be able to contact you via e-mail. 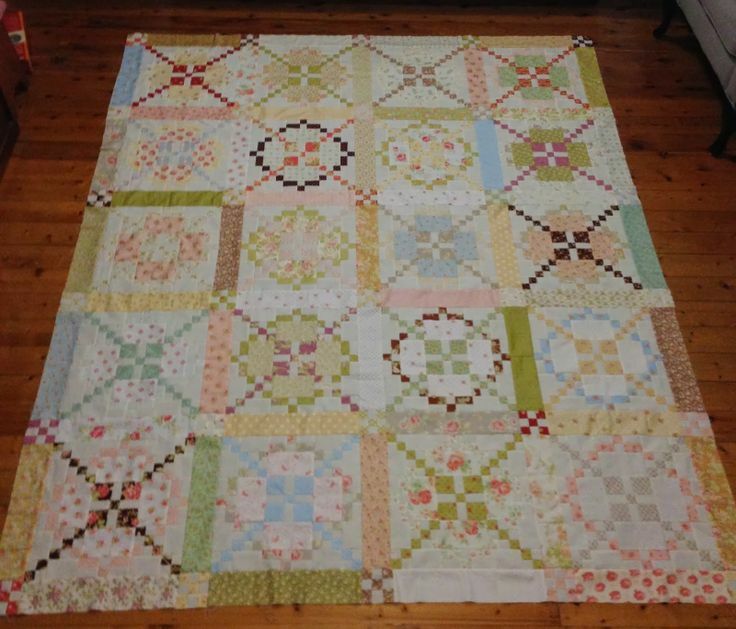 quilt to be completely happy. 🙂 Thanks for the chance! Monday morning along with more giveaways all week. Well I tried, but I did get into the kitchen and decided to cook up something. I have a super top secret project I am working on. 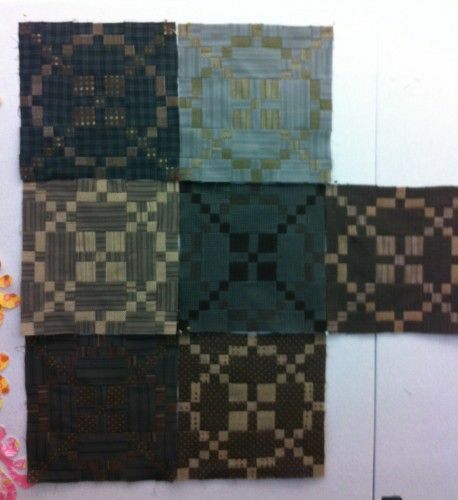 I want the fabrics to be just as individual and unique as the project itself. 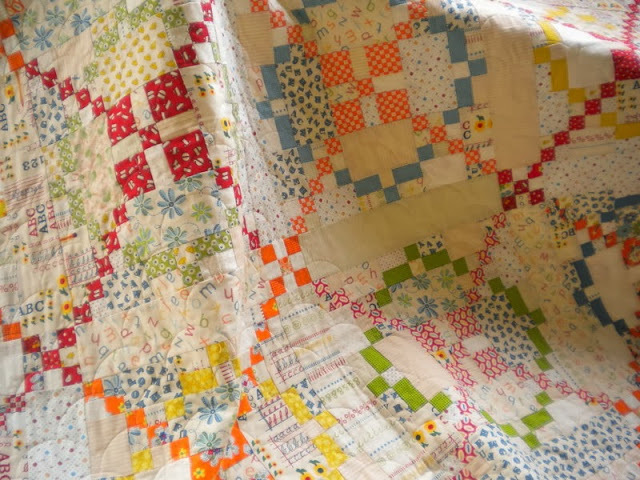 I am trying to achieve a “worn” “loved” look including the look similar to vintage sheets. I need a range of scale and prints. I got out a big pot of water, a jug of bleach and started to play. I am doing so she will be able to document it for a museum someday. Name this group. An oldie but a goodie. you don’t mind “messing up”. to cook. The fabric continues to fade so remove in time to let it keep cooking. Also anything wet such as the fabric appears darker. It will be lighter when dried. You can always bleach it more. You can NEVER add the color back. grey with cheddar dots- just in case you love it to- Rooftop Garden stock # 32432 32, also comes as a small dot, 4th one up, stock #32434 32) So vintage and yet so modern! Heaven- Dk.Grey, Cheddar, Dots- I need a moment. 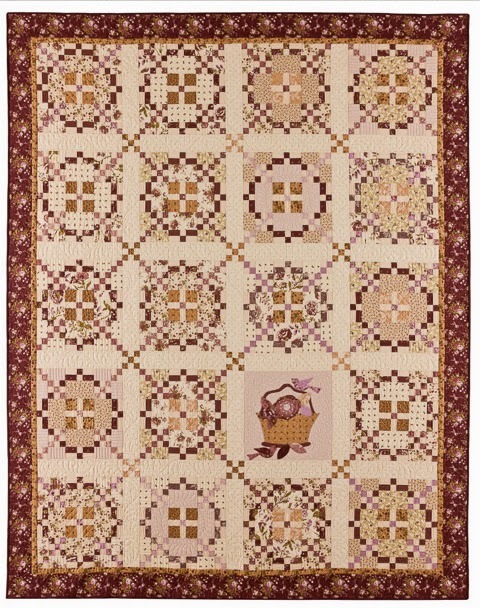 cakes and charm squares in half. Now look how quirky these colors are. I love them and I am happy to have a piece that is 5″ x 10″ just in case I need a clash factor piece that looks as if it had been on the prairie for 50 years. NOTE: If you ever get a chance to take a class from Barb and Alma of Blackbird Designson fabric dying, do it! They remove color and overdye and have a great time. actual pattern shapes to each other. I bleached a bunch of fabrics but I left them in the dryer. I guess the only energy I was interested in conserving was my own. because I have lots of new fabrics to sew with. Opps here I go again, Can’t cook or clean!